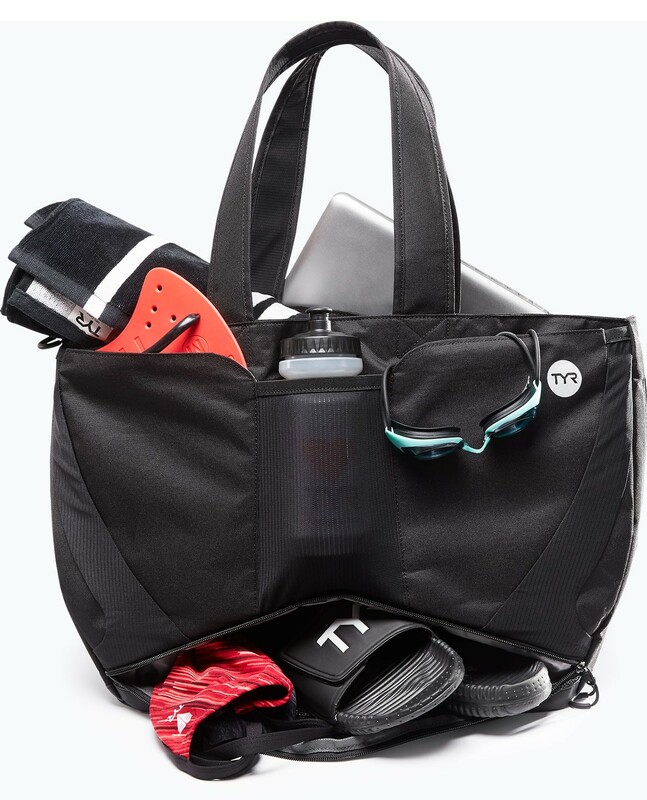 Always be ready with the TYR Alliance 30L Tote Bag. 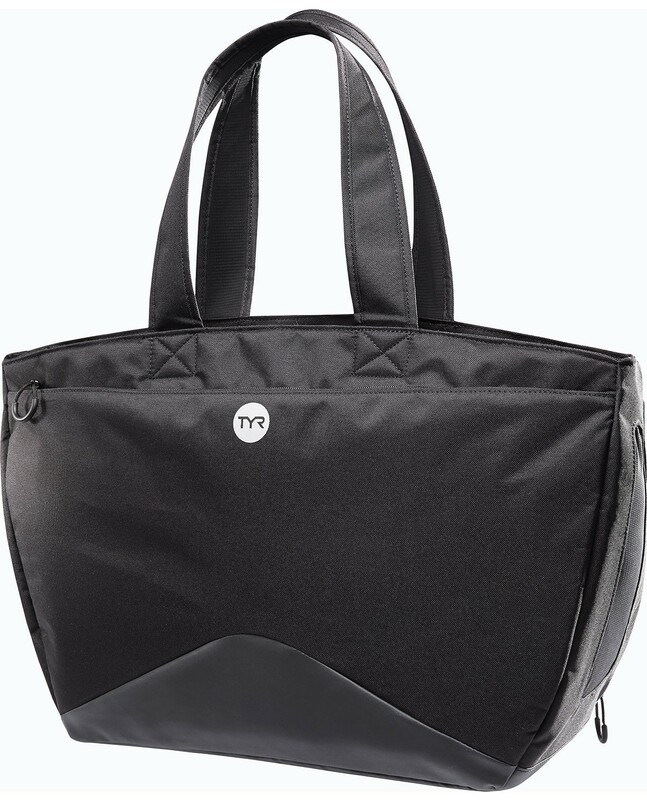 Engineered with lightweight, durable and water resistant fabric, the LATOTE is an ideal carryall when it comes to athletes and coaches on the go. In addition to large front pockets and an expandable, mesh water bottle pouch, this tote also provides a protective storage space for large electronics. 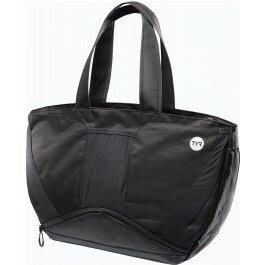 Great bag for swim gear or anything else! Love it! Wide openings, so you can see where items are. Bottom storage great for larger wet items in addition to side pockets for smaller things. Lightly padded straps are easy on the shoulders too! The bag holds everything I need: wetsuit, two bathing suits, buoy, fins, goggles, flip flops, snacks, phone, makeup bag, change of clothes...and no, I am not exaggerating! Very spacious. 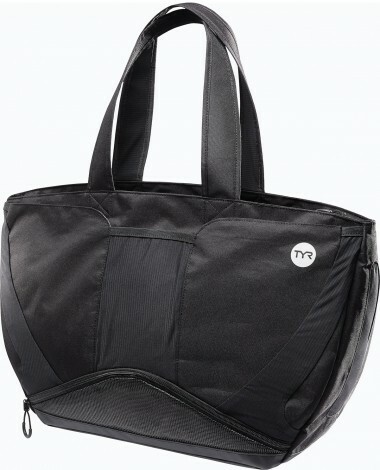 A great alternative instead of a backpack.